Our quality is unparalleled, our service is renowned, our selection of species and designs literally span the globe. It is this commitment to excellence, from initial design through final finishing that is winning the praise and loyalty of homeowners, dealers and distributors nationwide — and setting a new standard in the industry. There is more to offering a premium door than simply calling it one. We back our premium promise from design to delivery, ensuring that every feature and aspect of a GlobalPointe door is nothing less than outstanding. We create fresh new designs that span all tastes and styles with a wide selection of woodgrains and finishes. Construction is done to our exacting specifications for years of reliable, durable service. 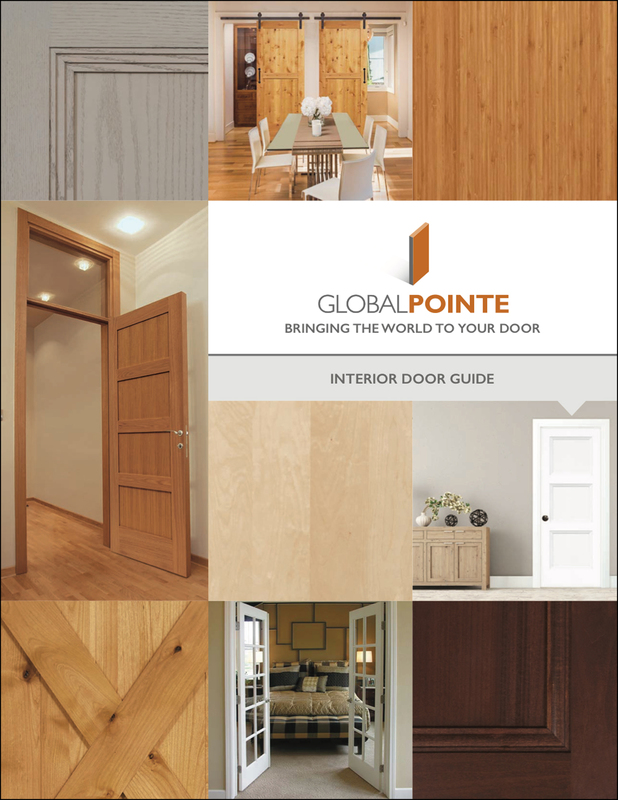 You will not find a higher quality door anywhere, which is why you will want to choose a GlobalPointe door. The knowledgeable professionals at GlobalPointe offer vast experience in the millwork industry. We’ve built our reputation on personal service that delivers solutions with every sale and peace of mind with every product. We understand that you expect superior quality, outstanding appearance and exceptional value. You can rely on GlobalPointe to deliver on all counts. At GlobalPointe, service is not a buzzword – it is our business philosophy. We keep a large inventory in stock to help speed up delivery. We offer a range of machining and finishing services, to ensure your door looks as good as it performs. And we are happy to work with you on custom orders and special designs. Buy a premium door, get premium service, every step of the way.